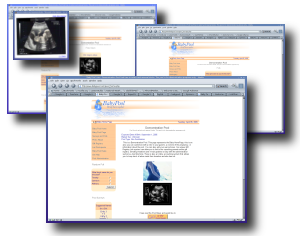 At the top of the Baby Home Page the baby pool title, expected date of birth, baby's gender and the type of the babypool will be displayed along with a link to the Baby Pool Page. Below this is displayed the informations pertaining to the selected menu item. The Home menu item displays the custom message that was entered in the administration section. Below the message the pictures that were uploaded to the server will be displayed. The List of Participants menu item displays a list of all of the participant's names and the number of blocks they have reserved. The list all link at the top of the Blocks column displays the list in an expanded format where all of the Blocks are listed by there values of day/hour or weight/length. Selecting the suggested names menu item displays the top three most popular girl and boy names that have been suggested. A list of all of the girl and boy names that were suggested by the participants follows. Along with the suggested names is the number of times the name was suggested as well as the name of the participant who first suggested the baby name. 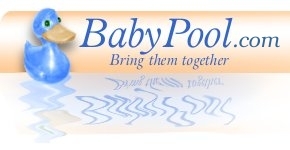 The last item in the Baby Home Page menu is a link to the log in page for the babypool administrator.